I don't know what it looked like before, but it looks pretty sweet now! "The sky is not the limit . . . the ground is." "Nessecity is the mother of invention"
Excellent work. You did a great job of masking the background. I have to agree with Caedes on the excellent mask job. Keep em coming. Super! Whatever you did, it works. Thank you all very much! I appreciate your comments. yeah its great i really love it! I am very excited to have you as someone I have seen first hand. Thank you smilebigbhappy ! rahbarha, interesting! who are you ??? okay. now this is a pro cut and paste job. Nice. Very Fernish indeed. Finally a plant I can't kill. Thanx ! Elvira Thank you for your comment! nice to hear that you think that. I can't believe I forgot to comment on this one earlier! I must have been in a rush or something. I absolutely love this picture. I have always had a thing for ferns, first off. They're just fascinating to me. 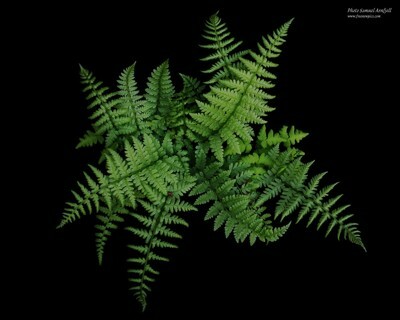 I like the green against the black background and I like how the ferns spiral out! Added as a favorite! Great job, the largest one (1280x1024) is kind of broken, could you re-load that one please? Please keepup the good work. Not a fan of ferns, but I really like this. Great job and excellent editing. It is impossible to win an argument with an ignorant man. Wow Trascy's hamburger is B&W.Sorry I missed this on the first go round.Wonderful work Sam. I'm also impressed with the edit on this. Do you know some trick, or was it the incredibly long proccess I think it must have been?! You've done a great job and produced a lovely image. Well done! "The person who says it cannot be done, should not interrupt the person doing it. -Unknown"
I like it. I took a similar picture. Good job. Remember, kids, glasses = cool. Nice work! Love this one. Wonderful colours to use together, and I love ferns. I really like this shot. It is simple but the black background is awesome it really makes the plant stand our. Very NICE shot!